This volume, using multiple methods, seeks to bring together the best scholarship and insight-Jewish and Christian, past and present-that has contributed to our understanding and appreciation of the biblical book of Ruth. As a feminist commentary, it is particularly sensitive to issues of relationship and inclusion, power and agency. In addition to the voices of the primary co-authors, Alice Laffey and Mahri Leonard-Fleckman, the volume incorporates and integrates important contributing voices from diverse contemporary social contexts and geographical locations. In sum, the commentary seeks to allow Ruth, Naomi, and Boaz to speak again for the first time. "Laffey (an experienced scholar) and Leonard-Fleckman (a new scholar) bring a rich combination of wisdom, insight, and sound biblical scholarship to this commentary." "This commentary is truly a dialogical work and incorporates complementary and opposing perspectives in a cohesive narrative meant for biblical scholars, pastors, and anyone seeking a deeper understanding of Scripture. 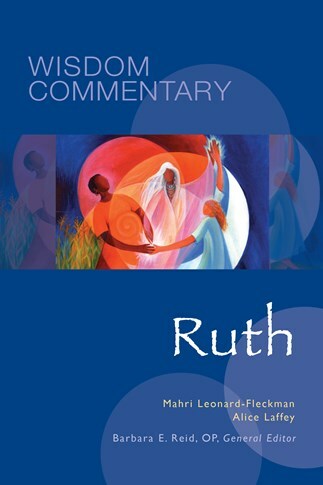 Laffey and Leonard-Fleckman beautifully unite many voices and unique perspectives in their commentary on Ruth and animate this text with a new vitality." "These two authors bring a model of intergenerational feminist scholarship to an intergenerational biblical pair, Ruth and Naomi. Postcolonial analysis and global feminist theological insights provide rich food for thought." "Two scholars—one at the dawn of a fine career, the other at the top of her craft—take up the challenge of decoding the biblical book of Ruth, an ancient text that has yet to divulge all of its secrets despite the many centuries of focused interest. Feminists both but with differing sensibilities and training, they have pooled resources and imagination to successfully produce a commentary in the classic mode, yet one in which all issues are scrutinized through boldly tinted lenses. The result is an engaging, elegant, and insightful contribution that should reward all readers, in and beyond the profession." "Laffey and Leonard-Fleckman have produced a thoroughly researched, readable, and engaging commentary on the book of Ruth. The authors guide the reader through a variety of opinions, whether from the enlightening `contributing voices' included throughout or from the occasional disagreements of the lead authors themselves. It is refreshing to see diverse views presented without competition, revealing, without the usual one-upmanship of academic discourse, a rich layering of interpretive possibilities."